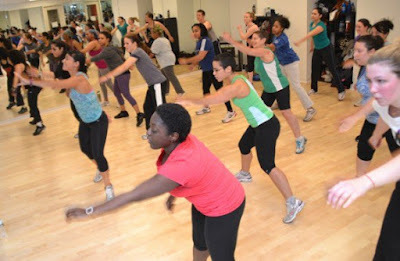 A new injury sustained in Zumba class, for instance, should get the ice treatment. Archive photo. #$%@&!!!!!!!!!!! You've just twisted your ankle trying to perfect the Side Salsa in Zumba class or threw your shoulder out during that tennis match in pursuit of a 99-mph serve. Quick, what to do? Should you add heat or ice? In this scenario, Scott Lynch would probably recommend icing. “Elevation is probably the most important thing because it limits the amount of blood flow to the area and the amount of swelling,” he says. The good doctor, director of sports medicine at Pennsylvania’s Penn State Milton S. Hershey Medical Center, recommends that cocktail popularly known RICE (rest, ice, compress, elevation) after an injury. 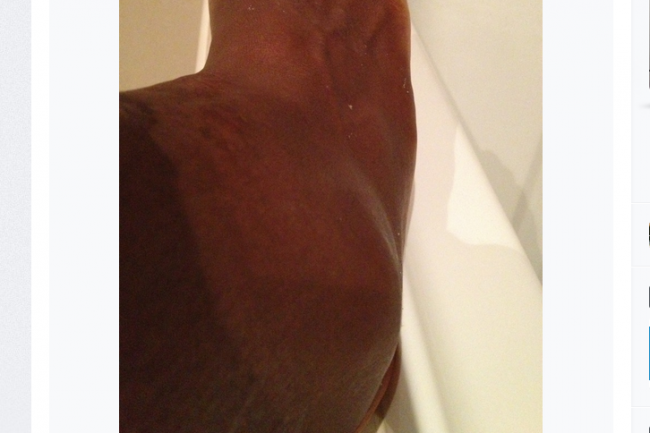 Serena Williams, who tweeted this photo, iced her swollen ankle after her loss to Sloane Stephens in the quarterfinals of the Australian Open in January 2013. However, the 21-time Grand Slam singles titles winner probably added some heat after the swelling went down and before she returned to the practice court, likely followed by more icing. Photo by Serena Williams. Cold temperatures applied to an injury help narrow blood vessels. This prevents bottlenecking (accumulation) of blood and the swelling that results, delaying healing. SL and a colleague, Cayce Onks, family and sports medicine physician at Penn State Hershey, both recommend using ice for 20 minutes, once an hour only to prevent other problems such as frostbite or damage to the skin. 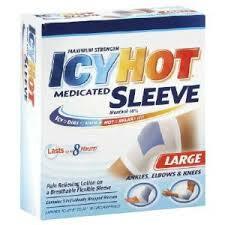 Icy Hot and other similar heat products do provide temporary relief from chronic pains. Archive photo. Icing an injury for the first 48 to 72 hours after it occurs, CO adds, can also reduce the amount of secondary tissue damage, as well as help decrease pain. As to the form that ice should take, CO suggests special freezer packs or that old go-to, a homemade ice bag. “You can mold it around the injury and get more coverage,” he says. Meanwhile, athletes may be good role models for when to apply heat. Those with chronic pain and/or old injuries tend to opt for heat before they engage in physical activity and ice afterward. Good heat sources are moist heat, ultrasound, heating pads and corn packs. Though CO says heating pads and the Icy Hots of the world don’t provide the depth of heat of the humidity-rich, deeply penetrating moist heat and the ultrasound, they do provide some temporary relief. 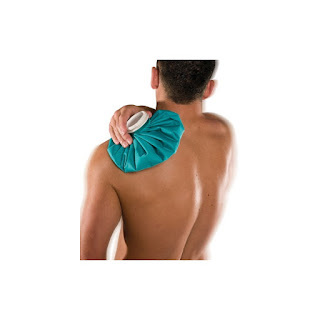 A simple ice bag can do the job of reducing swelling. Archive photo.